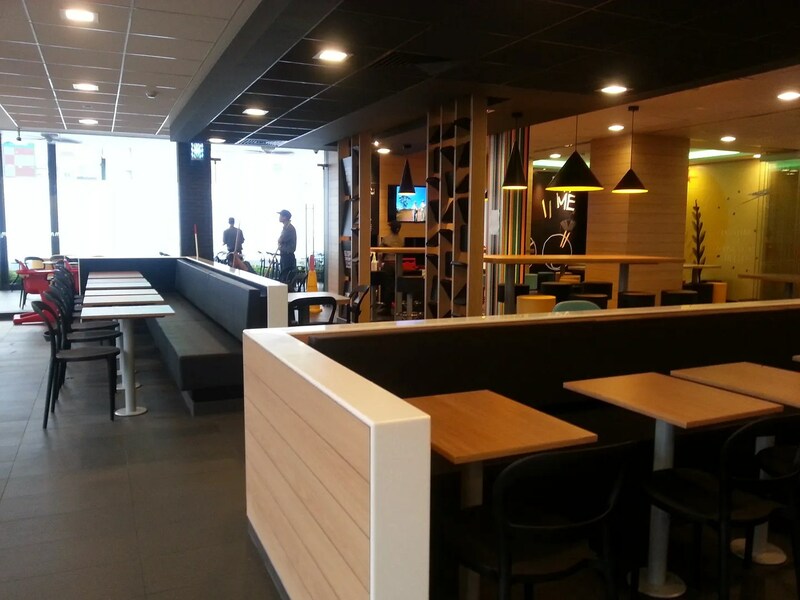 McDonald’s First Vietnam Store | Hello Saigon! ← The Macs Have Landed! 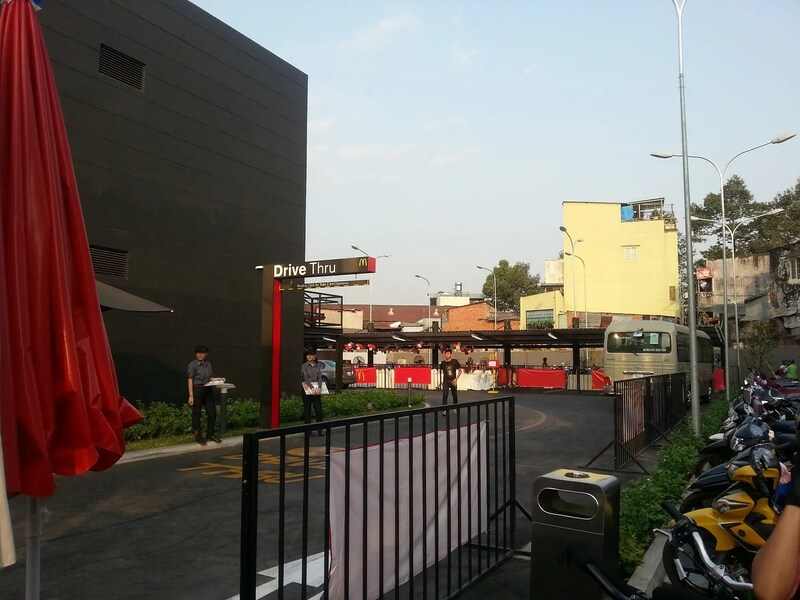 Ho Chi Minh City has undergone such huge changes in the last 4 years we’ve been here. 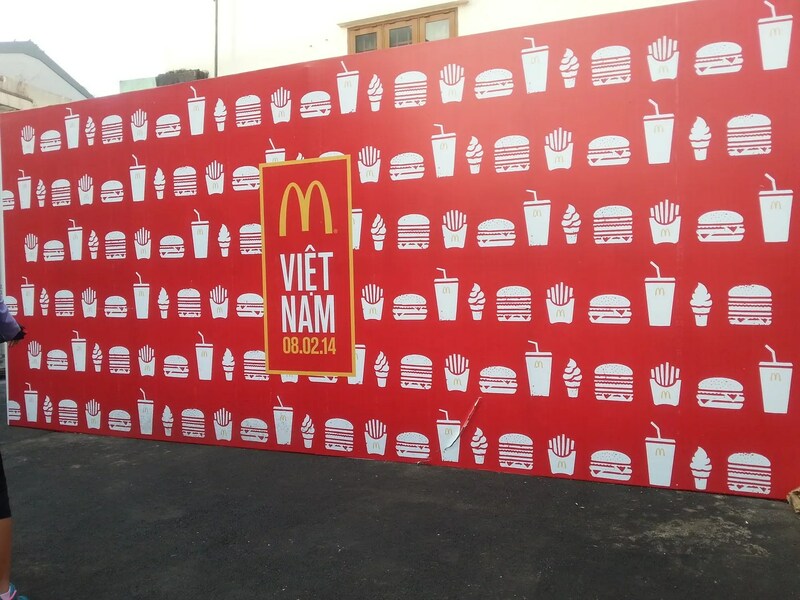 And I remember back in 2009, there was this rumor that McDonald’s will open it’s first Vietnam store. But that didn’t materialize until last week. 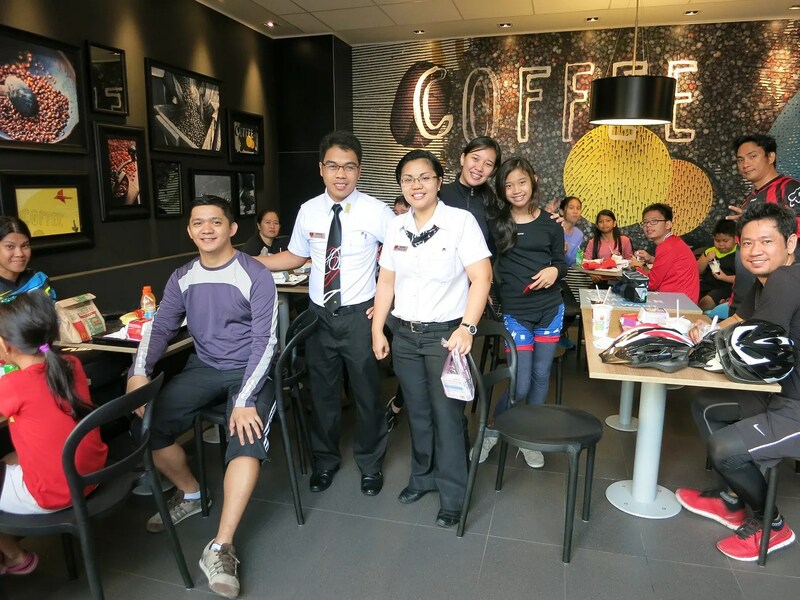 When we first got here, there were five familiar fastfood chain brands and cafes (at least to me): Kentucky Fried Chicken, Pizza Hut, Jollibee, Coffee Bean & Tea Leaf, and Gloria Jeans (Sorry unfamiliar with Lotteria then.). Then a couple of years ago, the Western invasion happened with Carl’s Jr., Burger King, Popeye’s, Texas Chicken, Dunkin’ Donuts, Starbucks, Auntie Anne’s, and now, McDonald’s. 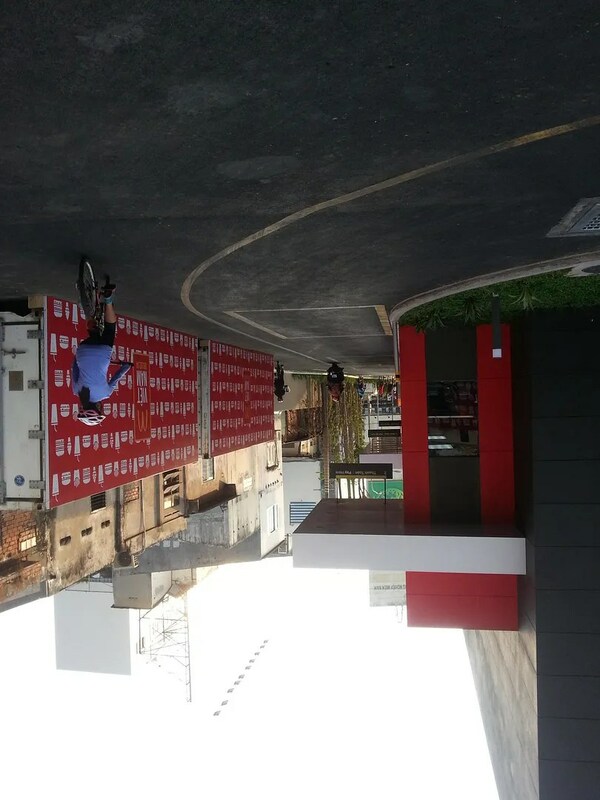 So today, we decided to make McDonald’s the goal of our Saturday bike ride. 😛 Our group of 15 (9 adults and 6 kids) headed to 6 BIS Dien Bien Phu in District 1 which was 9 kilometers away from District 7. 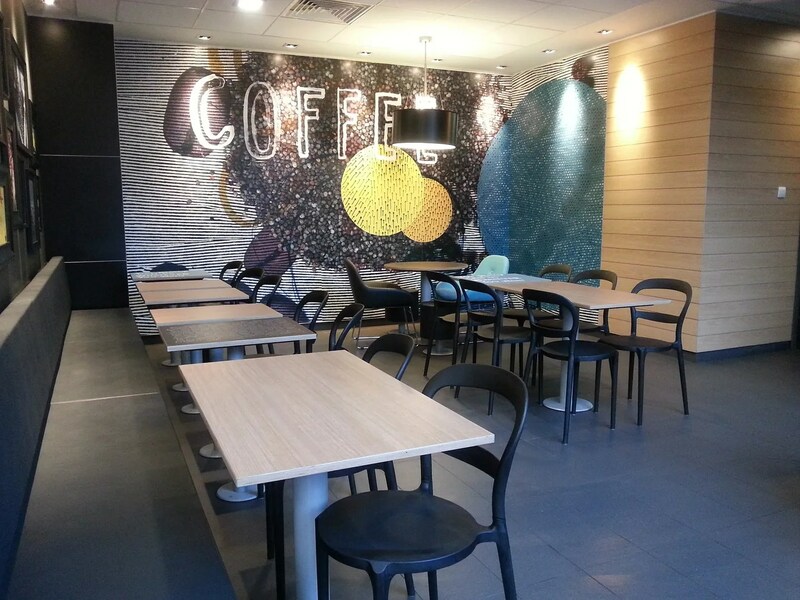 We left at 5:30 AM and arrived at 6:30 AM to a still slightly empty McDonald’s. 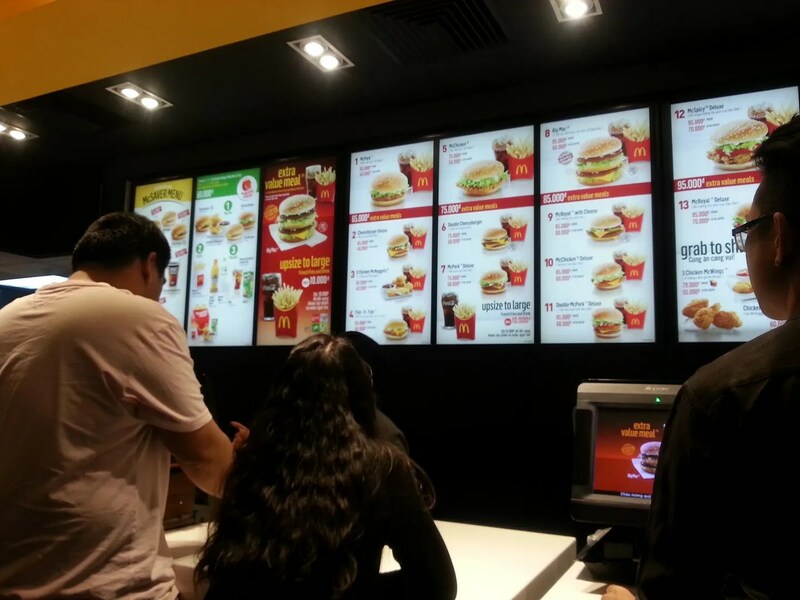 Last week when McDonald’s opened, there were real long queues. Adam captured it’s opening day. 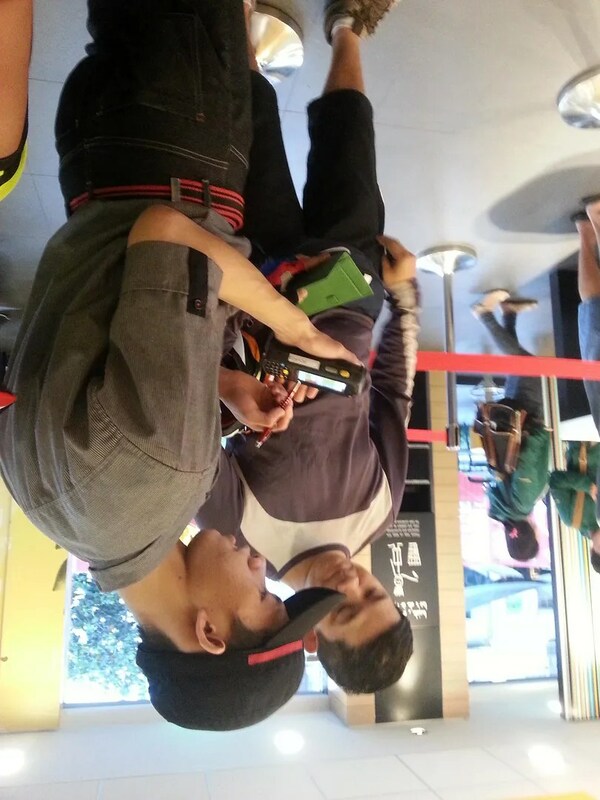 When we got to McDonald’s this morning, there were open cashiers but you didn’t have to wait in line too long when a roving crew would take your order via his PDA. The place was modernly decorated, spacious, and catered to big crowds. According to this article, this store could seat 350 persons and is actually open 24 hours. 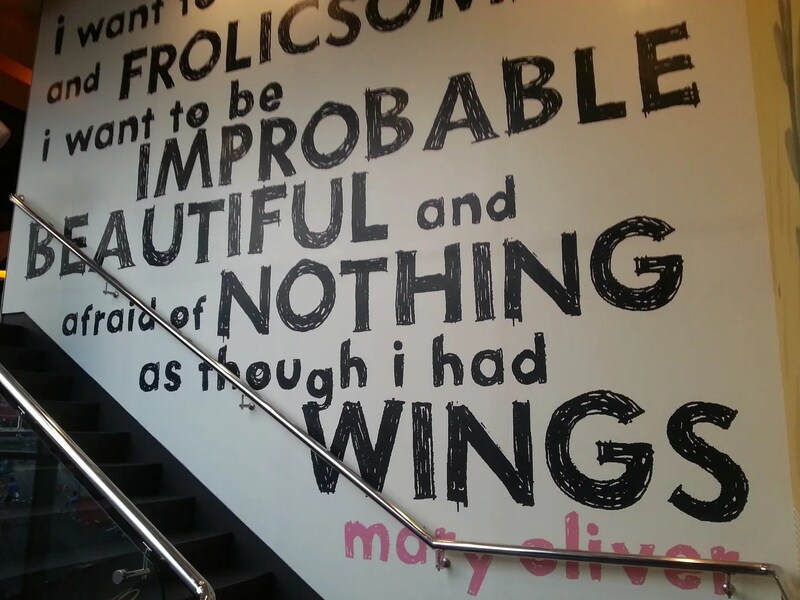 A person who loves words like me, would find uplifting quotes, on tables, dividers, and walls a nice touch to the whole store. I dug it. If I were still in my teens, I could totally see myself dropping by this store to find a spot to chill, catch up with friends or study. There’s a place for kids to play, a separate small meeting room, and toilets where kids can reach the sink with a changing area for babies. 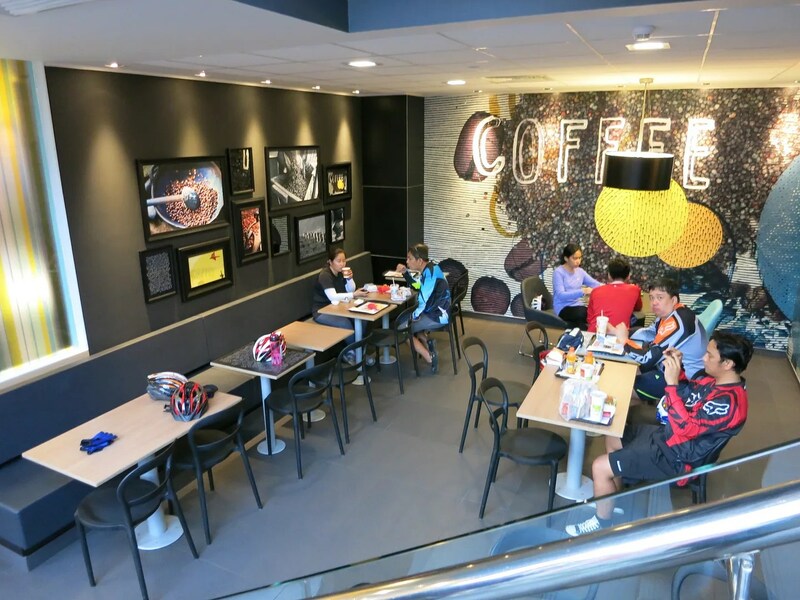 On the food, well… you see, I’m really not a fast food person and I have to say that in the Philippines, I mostly eat at McDonald’s for their breakfast meals — which unfortunately they don’t have here. YET. So, yes, no longganisa meal (AS IF! ), hash brown, nor pancakes! 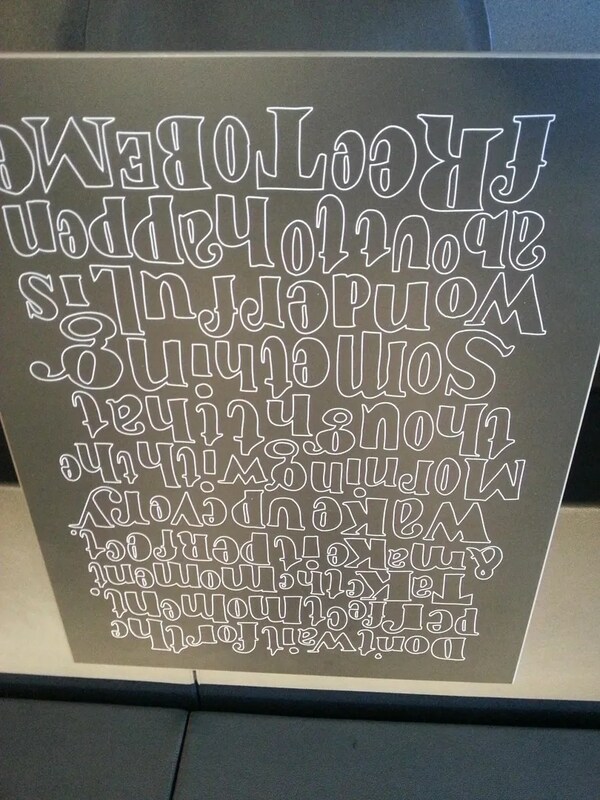 When we ordered, the menu board was like, burger, burger, burger, nuggets. They’ve got Big Mac (which friends said tasted delicious except that it was smaller than what they were used to back in Manila), McPork (yup! Only in Vietnam! ), McChicken (I had this and it was pretty good), Double Cheeseburger, McRoyal, Fillet O’ Fish, chicken nuggets, and more burger combos. 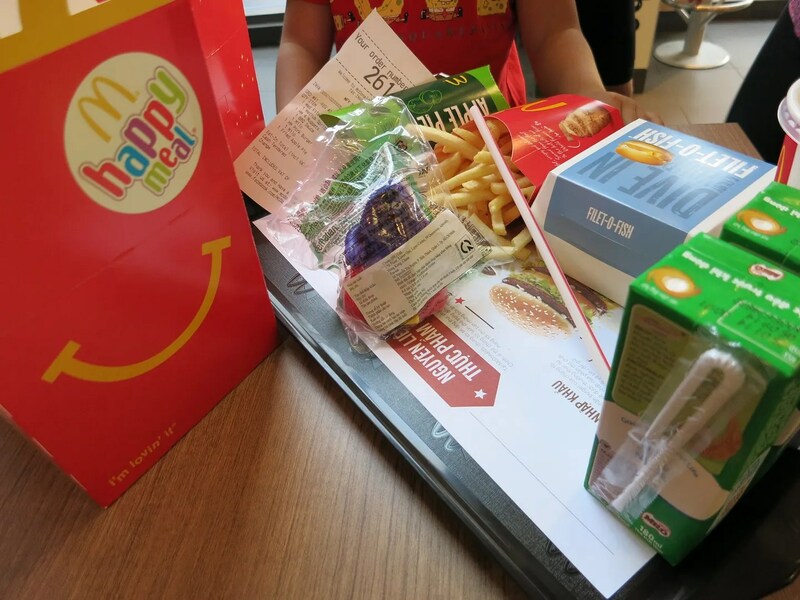 They’ve got the Happy Meal as well with Grimace as their giveaway toy. I by the way just had to get a hot fudge sundae. While our group was eating, Eric, a Filipino crew member chatted with us a bit. 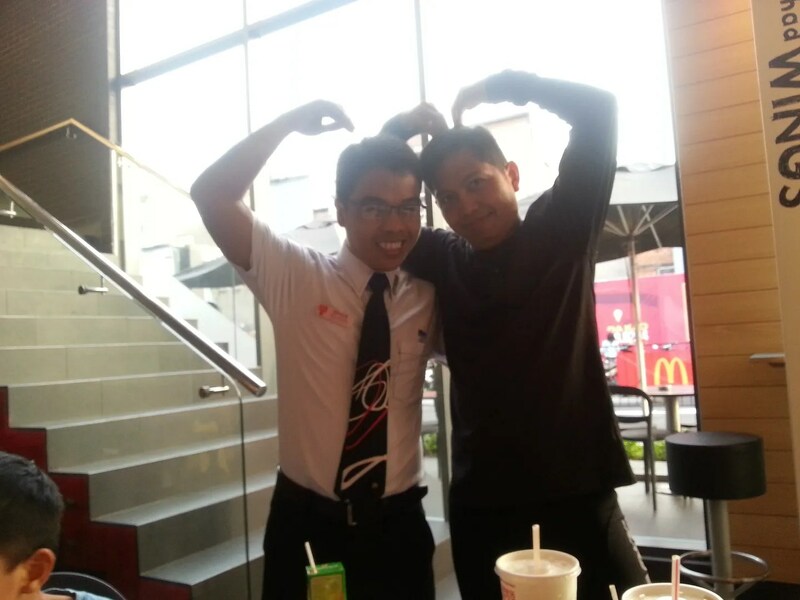 He’s just one among a few Pinoys here helping train the Vietnamese crew for a few months. Eric introduced another Filipino crew member, Mons. If you don’t know it yet, the Vietnamese crew trained in the Philippines. Mons was saying that the Vietnamese trainees were very easy to train. 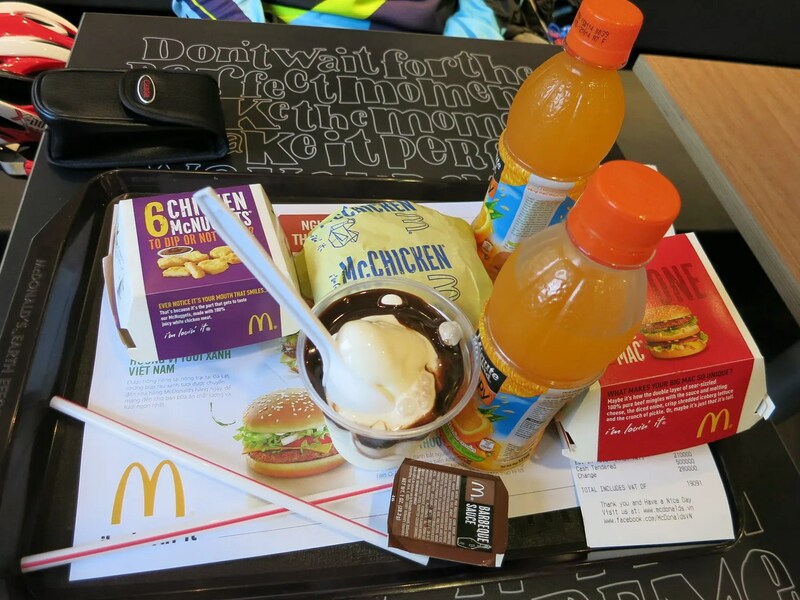 I may not be a fan of McDonald’s but sometimes, you just gotta have to have that fastfood fix. 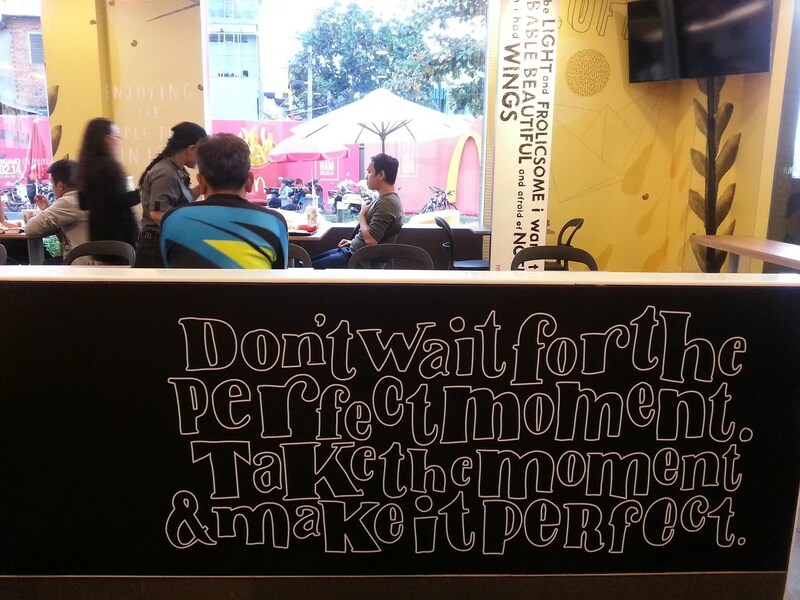 And honestly, McDonald’s (like Jollibee) feels like home. 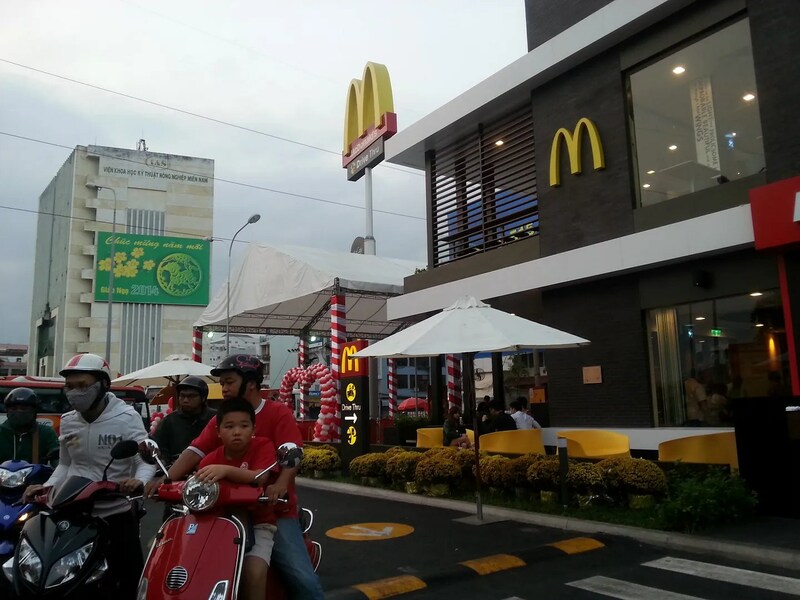 McDonald’s second store in Pham Ngu Lao will open in a couple of months and that is much closer that this Dien Bien Phu branch. The roundabout I tell you is a killer. Now if only they’d open shop in District 7. 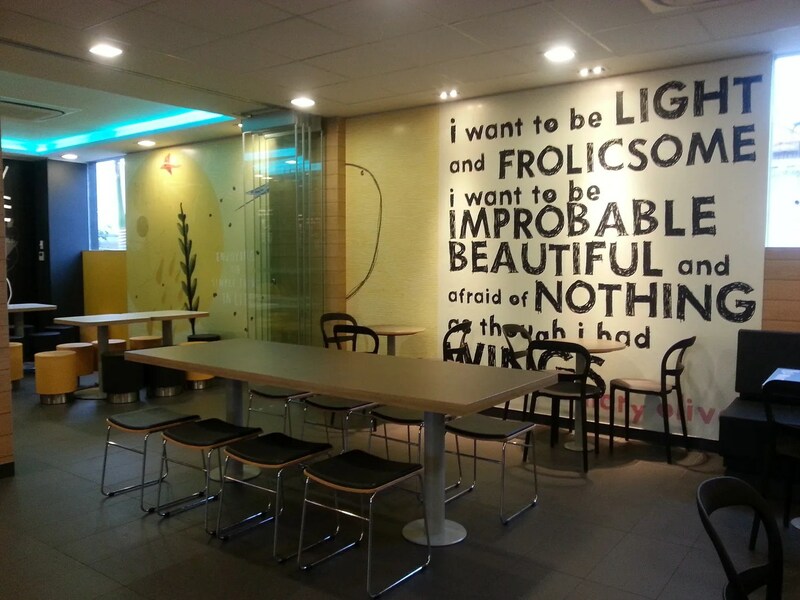 This entry was posted in Gastronomic Delights and tagged Ho Chi Minh City, McDonald's, Saigon, Vietnam. Bookmark the permalink. Wow! 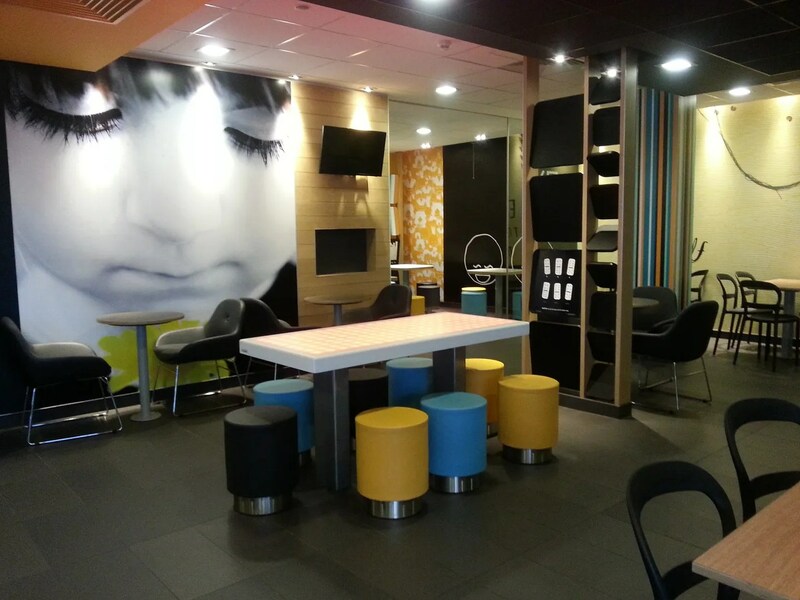 Shame my local McDonalds looks nothing like that…prefer the setting there!! Fab quotes too! 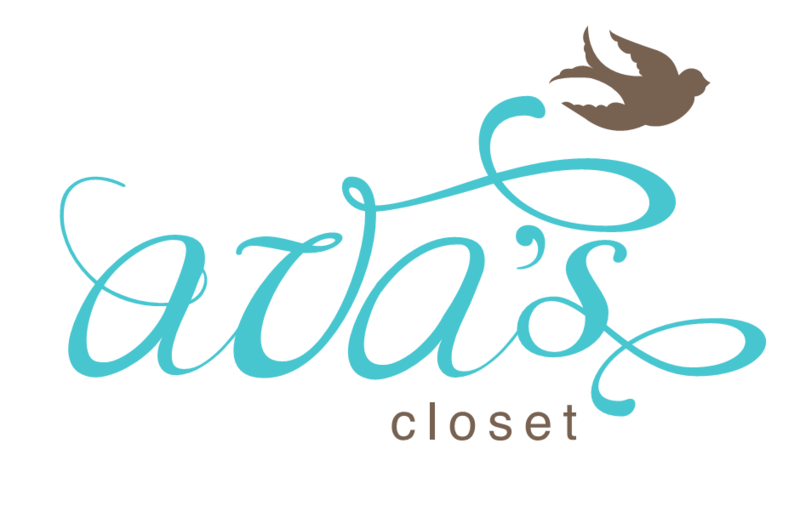 The FOOD is great..the SERVICE is amazingly commendable and the AMBIANCE is simply exciting!!! More BRANCHES please !! !